The fourth major installment in the popular series of economy simulators that began in 1998. It was developed by Related Designs, a subsidiary of Ubisoft. As the title says, the action takes place in the Middle Ages during the Age of Discovery, and the players assume the role of colonists who managed to reach the eastern coast of Asia. The gameplay mechanics do not deviate from the well-known standards of the series. Starting out with a modest colony established on a remote island, we have to develop it and transform subsequent cities into metropolises brimming with life. Anno 1404 offers a sophisticated economy model that involves creating complex production chains as well as effective trade and diplomacy. Among this myriad of lesser novelties, especially noteworthy one is the sandbox mode that allows us to play freely without any plot limitations. An adventure/strategy game with survival elements by Polish studio 11bit Studios. 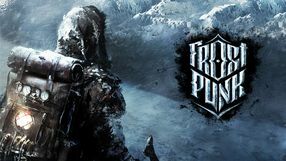 Frostpunk is set in a fictional icy-cold world, whose climate deeply affected the development of its society. To survive, people rely mostly on steam engines. However, it is not enough, and the society is falling apart, which means it needs to change. The gameplay focuses on the survival aspect, which, unlike in other such productions, means more than gathering and managing resources. Strategic elements are also of great importance, and you also need to make difficult and morally ambiguous decisions. The game features distinct visuals, in which the cold colors of nature are contrasted with the warmer hues, which symbolize the remains of civilization. 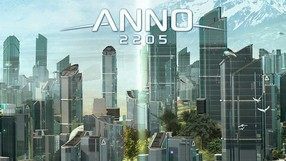 The sixth major installment in a popular economic strategy game series, which started in the Medieval Times (1404-1701) and went all the way to the future (Anno 2070). 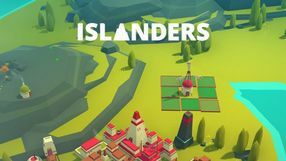 This new title was developed by the creators of The Settlers franchise, Blue Byte Software, who took part in the development of the previous Anno game. This one lets you play as a governor of a huge futuristic metropolis, and you have to make it thrive till you can launch an expedition to the Moon. Initially, the game is set on Earth, but eventually you move to the surface of our planet’s satellite, where you set up a colony to harvest and process resources. Despite its futuristic setting, gameplay mechanics remained faithful to the traditions of the franchise. Throughout the gameplay you get to construct various residential and industrial buildings, which develop automatically or can be upgraded manually, if you prefer. 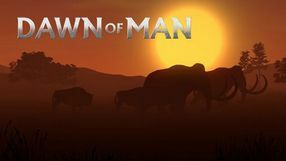 Dawn of Man is a combination of survival and city builder. The player's task is to lead a settlement settled in prehistory, from the Stone Age to the Iron Age. Madruga Works studio is responsible for the production of the game. 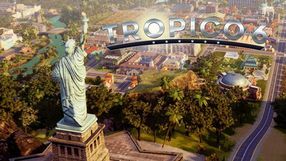 Another installment in the popular series of economy strategy games developed cooperatively by Related Designs, the creators of the franchise, and the legendary Blue Byte studio under the watchful eye of Ubisoft. The fifth entry in the series, contrary to the previous ones, takes the players to the future, to the eponymous year of 2070, when climatic changes drastically raised water levels around the world, forcing humankind to move to higher ground. The gameplay mechanics use a number of characteristic solutions of the series but not without several novelties. A grand ship, called the Ark, is our base of operations that can be upgraded with each completed mission. There are three different factions to choose from, each possessing a different development tree. The first one offers advanced industry and aggressive expansion possibilities, the second focuses primarily on environmental protection, while the third one emphasizes modern technologies. The available game modes include a classical single player campaign, continuous mode as well as co-op and competitive multiplayer modes. Anno 1701 is a position that will be of particular interest to lovers of the laborious development and expansion of overseas properties and growing into power through skillful, economical manoeuvres. 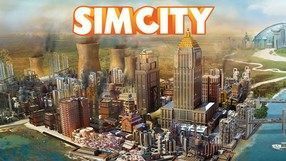 The fifth installment in the popular economic strategy game series - SimCity. The game was developed by EA Maxis Studios (known for The Sims and Spore) with publishing support from the Electronic Arts company. In accordance to the tradition of the series, you becomes a mayor of a virtual city who has to turn it into a bustling metropolis. To this end, you have to deal with complex management issues, economic and social problems, as well as quickly react to various random events (e.g. natural disasters). 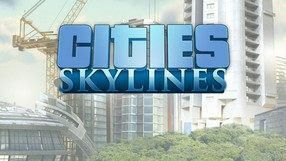 The new SimCity stands out from the previous games in the series thanks to its advanced game engine - Glassbox, as well as extensive social panel CityLog (inspired of similar systems used in Need for Speed and Battlefield games). 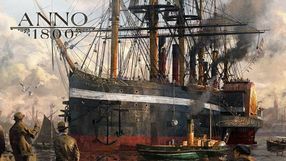 An official expansion for the 2009's economic strategy Anno 1404, which is the fourth installment in the series launched more than a decade earlier by the Max Design studio. The add-on features the titular Venetian culture and with it the new merchant ships, the possibility to sabotage opponent's progress, and the institution of city council, which can be manipulated and bribed in order to take control of a foreign metropolis without bloodshed. 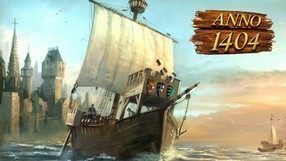 Moreover, Anno 1404: Venice offers in total three hundred entirely new missions like economic race or loading of ships, sixty additional items, as well as the opportunity to discover and explore previously inaccessible kind of territory – a volcanic island. The biggest novelty is a multiplayer mode for up to 4 people, that was absent in the base game. Players can now compete against each other or form alliances against an opponent controlled by the computer. 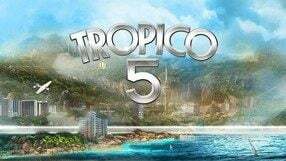 The fifth installment in the popular series of economic strategy games developed by studio Haemimont Games, which is responsible for the franchise since the third entry in the series. The game makes the player a leader of a small tropical island, responsible for governing it all the way from the colonial age through modern times and to the near future. Your tasks will be, as usual, to develop the city and take care of its industry and economy. You must also react in real time to the changing situation caused by natural disasters, different needs of the society, and global politics. The new installment adds the possibility to create your own dynasty and entrust the most important positions in the government to your own family members. For the first time in the history of the series the game features a multiplayer mode for up to four players. A science fiction economic strategy game developed by Haemimont Games and published by Paradox Interactive. 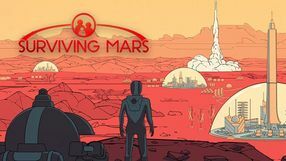 The title is a city builder in which the player must design the first human settlement on Mars. Being a manager of a space colony requires the player to take care of many matters - the survival and well being of the colony inhabitants depend on it. The colonists won’t survive for long without access to oxygen and water, and the advanced technology of the colony requires a steady supply of energy. What makes things even harder is the fact that the systems constructed by the player can be broken by environmental conditions: the water tanks can freeze and the solar panels can be deactivated by a sandstorm. Additionally, the agency that sponsored the whole mission has specific requirements – if the player had chosen a profit-driven corporation as a sponsor, then he must remember to create a mine for valuable resources and a system that will transport these resources to Earth. Each inhabitant of the colony is a unique character with specific traits and parameters impacted by his living conditions. A happy colonist can decide to have children while a constantly stressed worker will grow psychical traumas. The title is a sandbox which is partially unpredictable due to the mysteries – events and scenarios inspired by classic science fiction tropes. 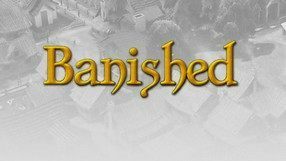 Banished is a real-time economical strategy game, the first one developed by Luke Hodorowicz, the founder of the independent studio Shining Rock Software LLC. The player controls a small group of people exiled from their home country, who are trying to settle down in a new place and create the foundations of a powerful kingdom. The task calls, first and foremost, for ensuring the survival of a small society, and then managing its development. The gameplay focuses heavily on reasonable use of resources and methodical care for the player's subjects, constantly threatened by such dangers as hunger, diseases or unfavorable weather conditions (drought, harsh winters, etc.). Along the course of the game, the village grows in size and the gameplay difficulty increases. A cult economic strategy game created by Impressions Games and published by Sierra Entertainment. Pharaoh takes place in the Nile valley, several hundred years B.C., and spans from the era of the great pyramids to the New Kingdom period. As the pharaoh, the ruler of Egypt, you have to transform local villages into great cities, take care of your people's needs, and make your country the greatest of them all. A big factor in the development of your country is agriculture, which is dependent on the flooding of the Nile. 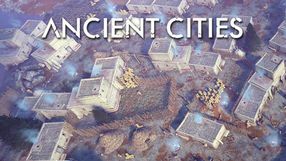 You develop your cities, build famous structures (such as the pyramids, the Sphinx, or the Luxor Temple), and also oversee the trade, religion and culture. Apart from governing the cities, the game also features a tactical combat system, both on land and at sea. Pharaoh features several single-player campaigns, each consisting of several dozen of missions. The 2D visuals of the game are very detailed and utilize an isometric view. Another economic strategy game by Impressions Games, known from e.g. Lords of the Realm and the Caesar series. The production is set in ancient Greece, where you play as a leader of a city, which means, you have not only to develop your domain, but also to care for its citizens and appease the gods overseeing the region. You can also expand you city by founding colonies and fighting other factions — you can send ordinary troops to battle or use heroes, who can defeat mythological creatures, loot mysterious ruins, and lead armies in the most important battles. Zeus: Master of Olympus features high-quality visuals, with detailed building models and ubiquitous citizens, going on about their daily lives. Workers & Resources Soviet Republic is a classic representative of the city builders genre. 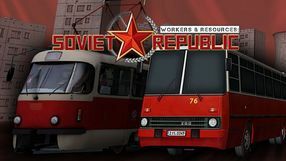 The aim of the game is to build and develop a fictional Soviet republic and lead it to a bright future. 3Division studio is responsible for production. An economic strategy from a well-known series. We move there until the 16th century and become the commander of one of several factions. While having fun we build cities, colonize new areas and interact with other countries. The creators prepared 250 buildings and improved many aspects of the game, including artificial intelligence. The solo campaign was complemented by a few additional modes and a multiplayer. 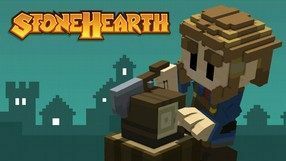 A spin-off of the popular economic strategy game series, created for mobile devices by Mi'pu'mi, founded by former Rockstar members, with the help of Blue Byte Software. The game is set in the colonial era, and your task is to establish and develop a prosperous colony in a newly-discovered region of the world. You start out on a tiny island with a small supply of materials, but as the game progresses, you unlock more resources and various other islands. At the same time, you have to manage trade, diplomacy, and safety of your colony. The mechanics are based on those from the PC and console installments in the series, although they were simplified and adapted for mobile devices and the freemium business model. The visuals of the production resemble those of the web-based Anno games and The Settlers. A sandbox economic strategy game developed by Radiant Entertainment, a debuting studio employing a team of two. The game is set in a medieval realm featuring fantasy elements, and the task of the players is to build a village and transform it into a vibrant city. In order to do this, it is necessary to collect raw materials and food as well as take care of the residents' safety. Thus we can focus our development on army, trade, or religion, or combine elements of different strategies. The key element is the growth of the population: each settler has his own profession, gathering experience and advancing to higher levels of specialization. During the game we must also face competing nations and monsters by participating in real-time battles. There is also a peaceful mode, in which we focus solely on developing the city. The fun is further enhanced by a set of user-friendly modding tools. A city builder strategy game created by Mindillusion. The player is placed in charge of an early-medieval settlement. One's prime goal here is to maintain an appropriate balance between expanding the village and being able to survive in a hostile environment. Thus, apart from utilizing more and more space, constructing new buildings and upgrading the existing ones, the player has to give proper winter clothing to their subordinates and deliver them with balanced meals. The last can be achieved through growing different kinds of plants, breeding animals and storing food; making light of these aspects can result in dangerous epidemics. Apart from that, the player's village can fall victim to attacks of predators and various natural disasters, such as tornadoes or storms, which can cause a fire. All such events affect the spirit of the villagers, which is reflected by a special meter - unhappy workers become less productive. 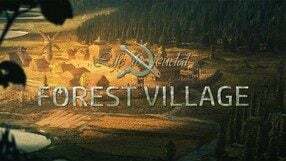 Life is Feudal: Forest Village offers a three-dimensional environment. Interestingly, the player can switch between an isometric view and first-person perspectives (as one of his subjects). 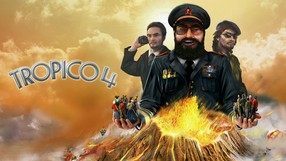 The fourth installment in the humorous series of economic strategy games in which we assume the role of a ruthless dictator of a small banana republic. After the previous developer (responsible for the first installment from 2001) was taken over by THQ, the series was given to Haemimont Games. The main highlight of the gameplay is taking care of the country’s budget, which is fed by resource mining and production of various goods. The citizens’ happiness is also an important aspect. We take care of them through creating various public utility buildings. To get the political chaos under control, we can use military, bribes, intimidation, or even public executions. If brutal methods don’t serve their purpose anymore, we can attempt to talk with the opposition, and in case of a natural disaster, The Red Cross will heed our call. In the fourth installment of the game, we are introduced to a new set of special buildings and a system of trading with neighboring countries.